So long, September! I can’t believe tomorrow is the first day of October, let’s get this party started!! 😉 We’ve got pumpkins, we’ve got costume making materials & we even have (half) a bag of Halloween candy. ‘Tis the season. 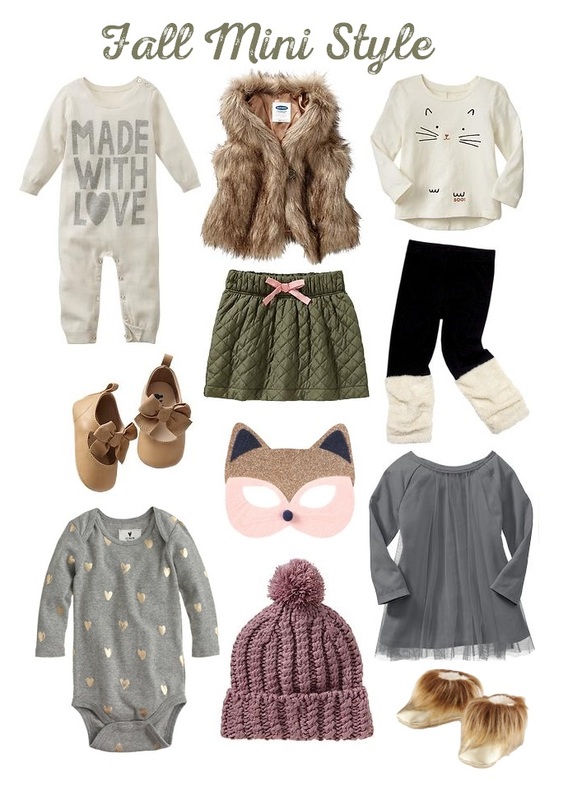 I am loving all things fur, foil & feline for Fall, especially when things come in both baby & toddler sizes. I put together a little inspiration using some of my favorite pieces, cozy & feminine, with a hint of whimsy for Halloween, all ready for cold weather! Those gold fur booties are the absolute cutest!! Dressing for Fall is definitely the most fun, especially if they involve glitter dress up masks. What are your favorite styles for Fall? A pumpkin beer cheers to October Eve!